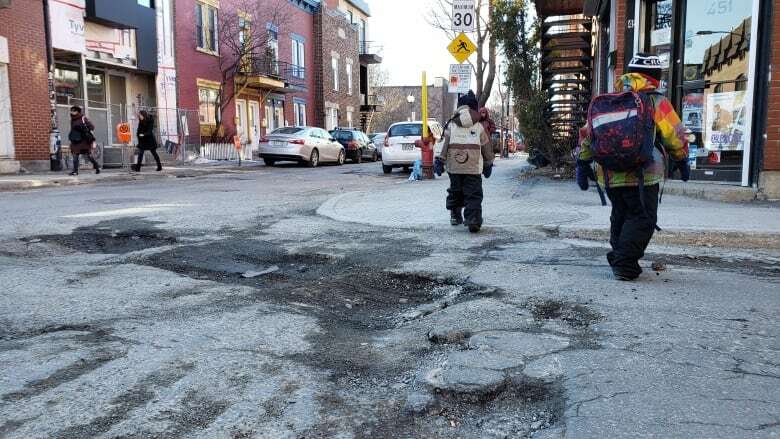 The City of Montreal has 16 trucks out filling potholes full-time, and it expects to repair more than the 180,000 fixed last year, after this winter's continual cycle of freezes and thaws. 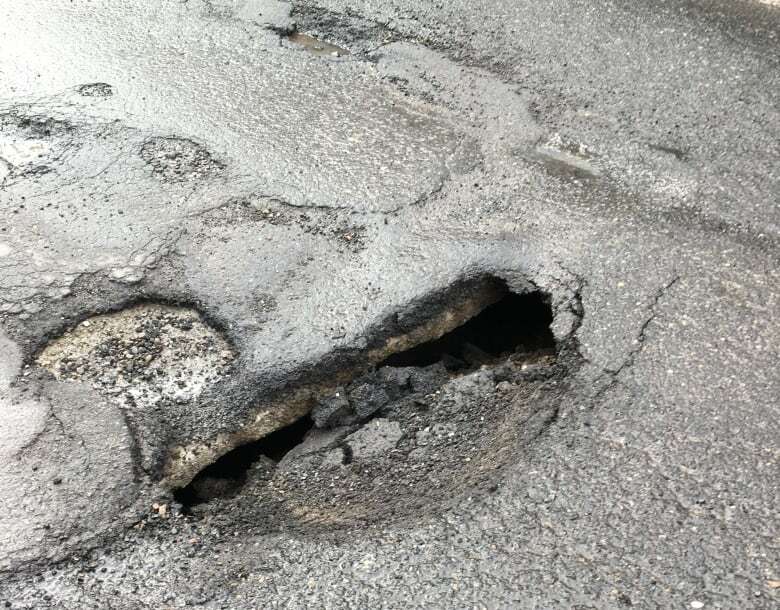 We asked for pothole pictures, and Montrealers answered the call. Some people CBC talked to said spring 2019 has brought with it the worst potholes in ages. "In all 20 years I've lived in Montreal, this is the worst year I've seen," said Montrealer Reza Taheri. He said the potholes make driving unsafe, and another Montrealer, Mark Richman agrees. "Sometimes at night, you just don't see them," he said. Richman said they can also be expensive. "One year, I replaced three flat tires, and the rims were gone, and I had to replace them. [It] cost me thousands of dollars," he said. 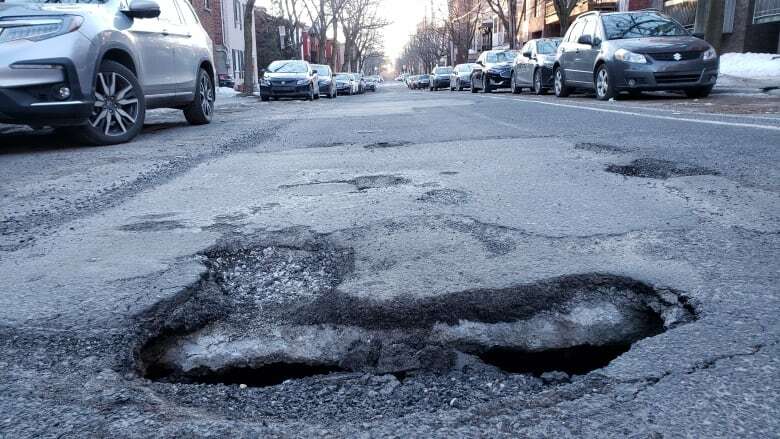 The City of Montreal said the warmer, dry weather is at least allowing for a pothole repair blitz. It has 16 trucks repairing potholes full-time, with a budget of $3.5 million to do the work. 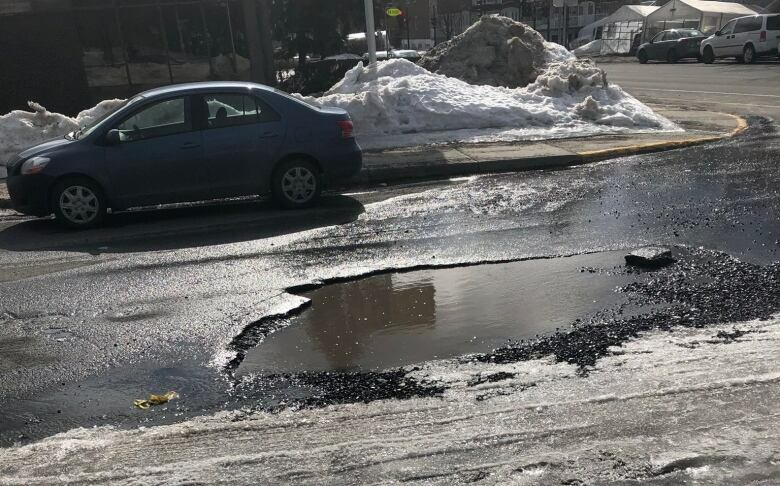 "We know that last year we filled as much as 180,000 potholes, and we're expecting to do more work this season," said city spokesperson Philippe Sabourin. He said the constant cycle of freezes and thaws this winter account for more — and bigger — holes.